This puzzle book for kids provides horse lovers of all ages with hours of activity and puzzle fun! 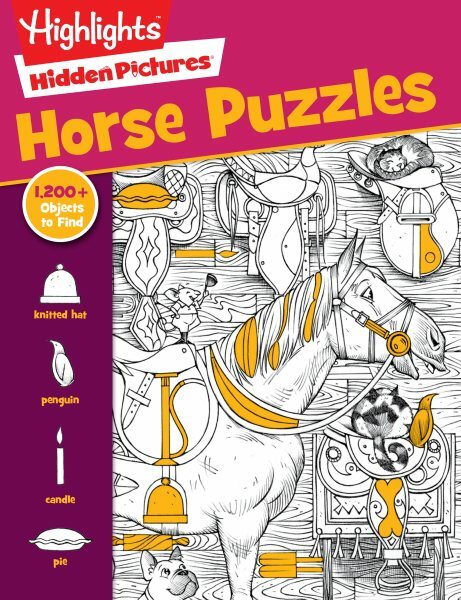 Kids who love puzzles will keep busy with this activity book packed with more than 100 horse puzzles drawn in the classic Highlights(TM) black-and-white style. With more than 1,200 objects to find, each puzzle is carefully designed to engage and entertain children while honing their concentration skills and attention to detail.